For me, the chart ended there, because Eliot Spitzer charged me with securities fraud and got me booted off Wall Street. The peak of the technology bubble was 10 years ago yesterday. 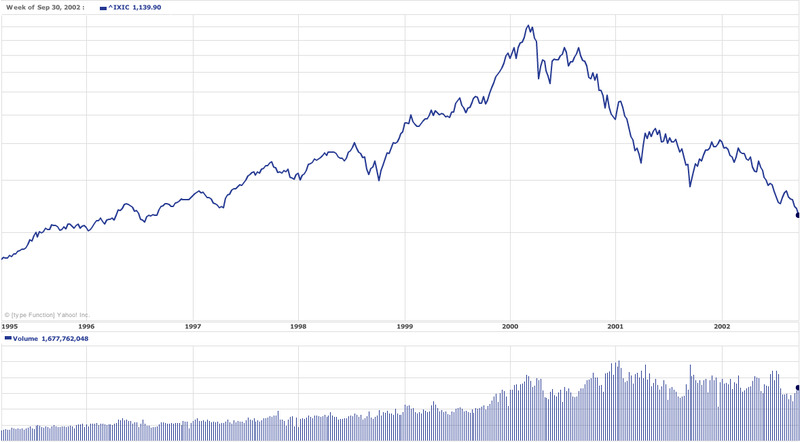 In March of 2000, after a mind-boggling 5-year run, the NASDAQ peaked at 5,000. Stocks like Cisco, JDS Uniphase, and Yahoo, which had made investors fortunes in the 1990s, had soared to levels that once seemed unimaginable. And then, over the next two years, everything collapsed. 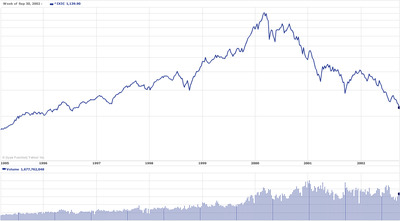 I expected to see a pullback in 2000, because the euphoria about tech and the market seemed to have gotten out of hand. I also expected many weaker Internet companies to go bust. But I certainly didn’t expect Yahoo to fall from $115 to $5, or NASDAQ to drop by a horrifying 80%. Later, amid the wreckage, I got another nasty surprise, when New York Attorney General Eliot Spitzer alleged that some emails I had written during the crash were inconsistent with my research and accused me of securities fraud. Not surprisingly, this allegation destroyed my reputation and got me kicked out of the securities industry. Because of some legal restrictions, I’ve never been able to discuss Spitzer’s allegations in detail, but the 10-year anniversary of the market peak seems a good time to reflect on what happened and what I’ve learned in the decade since. In the accompanying video, my colleague Aaron Task asks me several questions about that.